There are two things I look for in Christian fiction. One is creativity, the second is meaning. We Hope for Better Things debut novel by Erin Bartels gives you both. Erin Bartels is wife of Zachary Bartels, author of Playing Saint and All Souls Day. I started the We Hope for Better Things in the late afternoon Thursday and could not put it down until I finished the last word at the crack of dawn Friday. I kept telling myself, “stop after this chapter” but low and behold I needed to know just a little bit more, just a little bit more. It was a very compelling story with colorful characters I enjoyed getting to know. Firstly, the creativity. 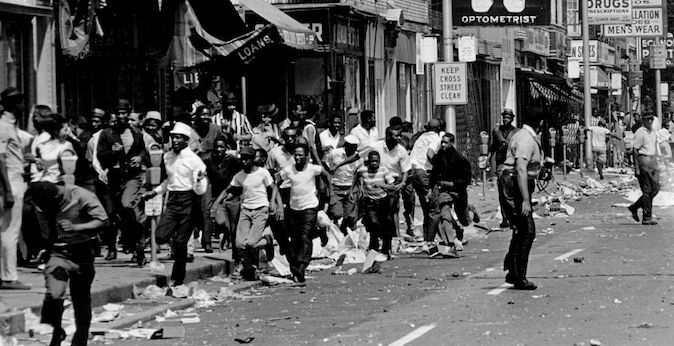 Three time periods of Detroit are woven together: modern day, the late sixties during the riots, and the 1850s. Each of the settings has a multi-racial couple trying to cross the racial divide. The way these three lives are intertwined and fold in on themselves is beautifully crafted. Every time the scene changed to a new time period I marveled at the skill, the way the story arcs matched each other, the way the stories piggy-backed on the same themes. Erin Bartels crafted a lovely tale of passion about visionaries living ahead of their time. On the negative side, though, is a missing bit in this creativity. The text is very compelling, as I said. It is tightly written which keeps you in the midst of the action. This makes you unable to put it down. But the problem with this tightness is it’s brusque, not matching the content. The book is literary fiction but written as mass market action fiction. Considering the heaviness of the content, I felt it needed a bit more poetry and feeling. A bit more lightness and beauty. My opinion; it did not detract from it being a great story. Secondly, meaning. The theme of the book is we are all made in the image of God, no matter our color. The author writes in an afterward that the Black Lives Matter movement happened concurrently to the writing of this, so it’s a timely book for today’s social climate. Social justice is an issue very close to the heart of God, though social justice and biracial relationships are not a uniquely Christian message. God put compassion and empathy as core to universal conscience. We are made in the image of God, regardless of our skincolor. But ultimately this intrinsic value of humanity is bound to the Incarnation and Atonement of Christ. The three stories worked together to tell a bigger story, an epic saga, of the American people moving from fear of to love of racial differences. So it challenges the tensions of today, still hoping for better things. My second dislike, though, was tied to this meaning. As Christians we have a duty to say something more than the rest of the world says. Sadly, this story was not uniquely Christian. It was published by Revell (Baker) and by a Christian (pastor’s wife). However, I kept hoping for that something else, which was missing. Our Christian message is a bit more than social justice. It’s that the intrinsic value of humanity in the eyes of God compelled him to do more than just make us love each other. It compelled the Incarnation and the Atonement. Yes, there was prayer and God-honor in the book. There was church, but not much. But there was no risk for our message. Christ was missing. “Your real, new self (which is Christ’s and also yours, and yours just because it is His) will not come as long as you are looking for it. It will come when you are looking for Him. Does that sound strange? The same principle holds, you know, for more everyday matters. 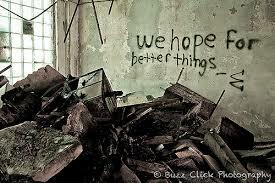 As a Christian author I personally “hope for better things” in the Christian industry. I want Christian writers to go that step further. That the reader is changed and grown spiritually, that they know God better, after having read a book–even fiction. To be fair, I rarely find a book that does this. But it’s what the Bible expects of us, in all areas of life (ie: Col 3:16, Titus 2:15, Isaiah 2:3, Rom 12:6-8). Don’t waste their life: encourage, exhort, build up, prod toward greater things in Christ. We Hope for Better Things will definitely be a book well-loved by Michiganders for decades to come. It is their history, their lives, their heart. I enjoyed the journey with the characters, learning about history while appreciating the tensions, sorrows, and regrets. I always measure Christian fiction by this: is the reader better off after reading this book? In the case of We Hope for Better Things, the answer is a resounding YES. The reader has been changed. The journey has not been a mere emotional merry-go-round, but was purposeful. We come out the other end of reading it thinking about ourselves, measuring our own racially-charged biases, wanting “better things” for ourselves and our family in this world. 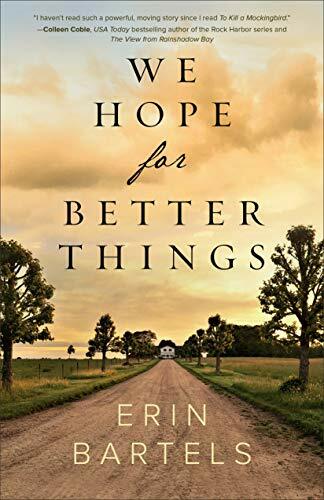 So this is why I whole-heartedly recommend We Hope for Better Things by Erin Bartels. If you’re a Kindle Unlimited member, the great news is that the kindle version of the book available there, for your reading pleasure. Enjoy. Be blessed. Please comment below if you enjoy it as well.